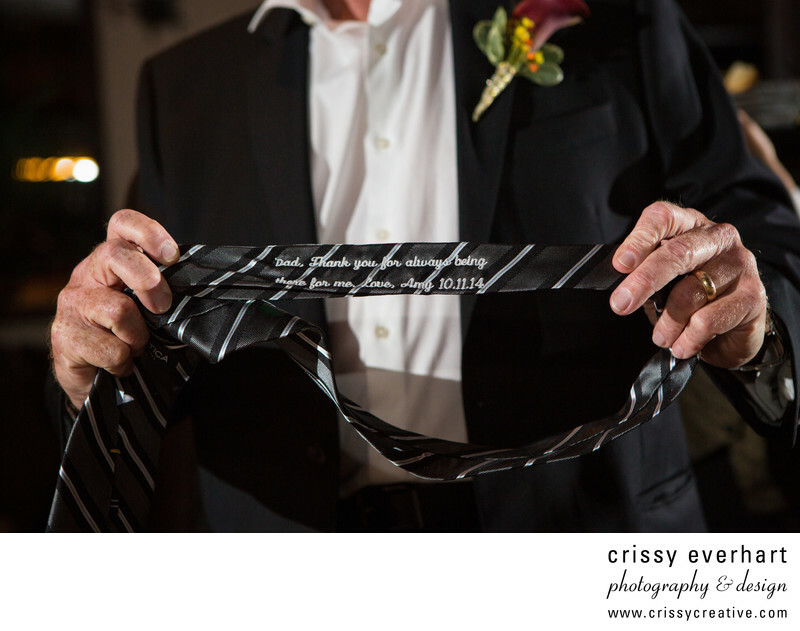 The bride had this tie embroidered for her father- "Dad, thank you for always being there for me." Here he is showing it off at the reception at Ballyowen Golf Club in Hamburg, New Jersey. The crop is tight so you can't see dad's head, but it's close enough to read the embroidery. Another photo was taken with him and his daughter while he held the tie.